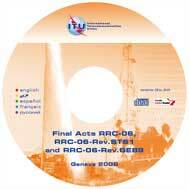 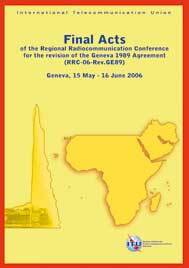 This publication contains the Regional Agreement GE06, adopted by RRC-06, as well as the Resolutions adopted by RRC-06-Rev.ST61 and the Resolutions adopted by RRC-06-Rev.GE89. 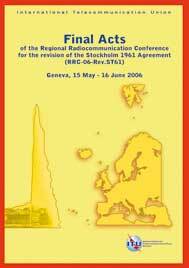 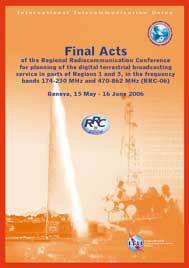 "These Final Acts result from a Regional Conference convened under the terms of Article 44 of the International Telecommunication Convention, Geneva, 1959, in which delegates of Administrations from about 35 countries participated. 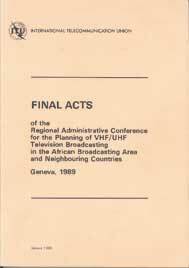 Provisions relating to the broadcasting service (sound and television) in the European Broadcasting Area were adopted, subject to the approval of Administrations. "